Happy Friday! 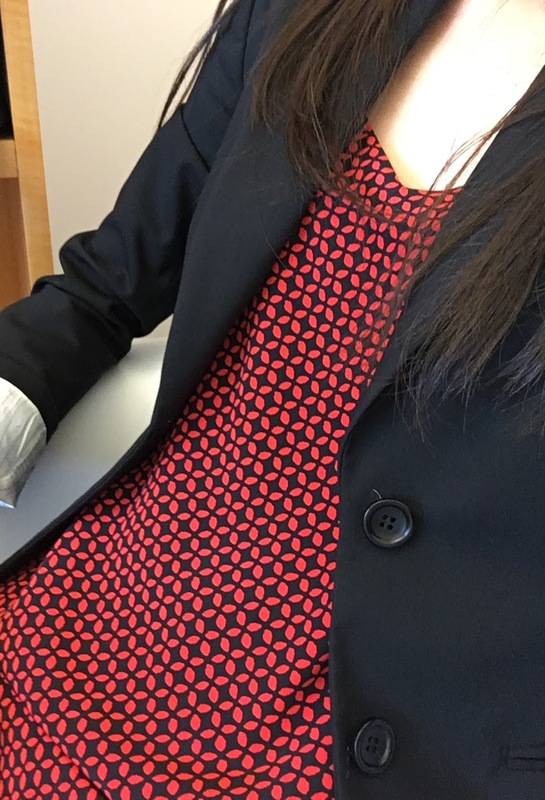 Today, I have a look at two work outfits from this past week, both of which I was pretty pleased with. Seeing all the chic Italians gave me some motivation to step up my workwear game, instead of falling back on my safety items (jeans, oversized cardigans, and the same dresses). 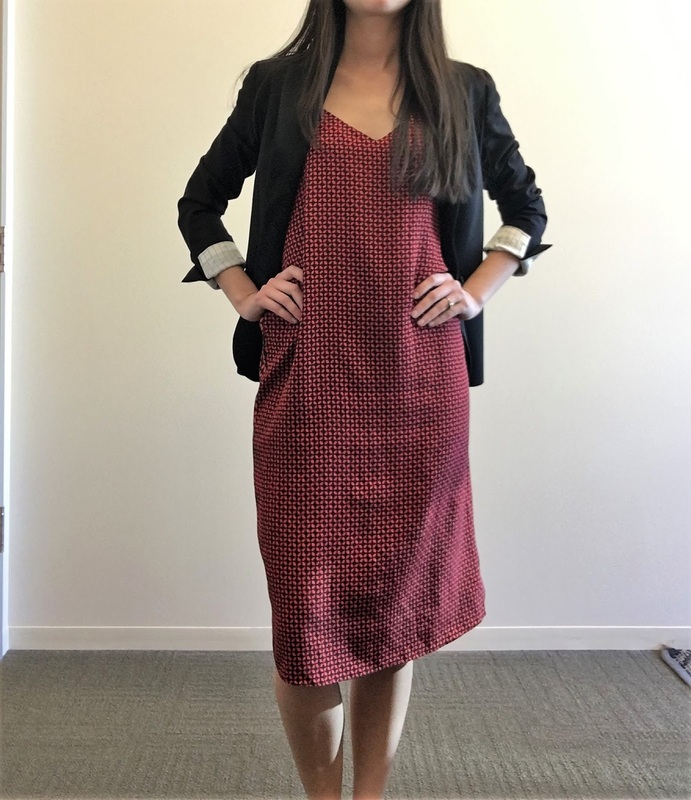 First up, a dress I haven't featured in a while, but was involved in one of my earliest posts = ) I still really love this Tibi slip dress, bought at Crossroads Trading Co., and in fact, love it even more now, because I had the straps tailored. It always sat a little low and I would constantly be pulling it up an inch when I wore it to work. One very cheap alternation later, the straps are the right length and I don't have to worry about it. 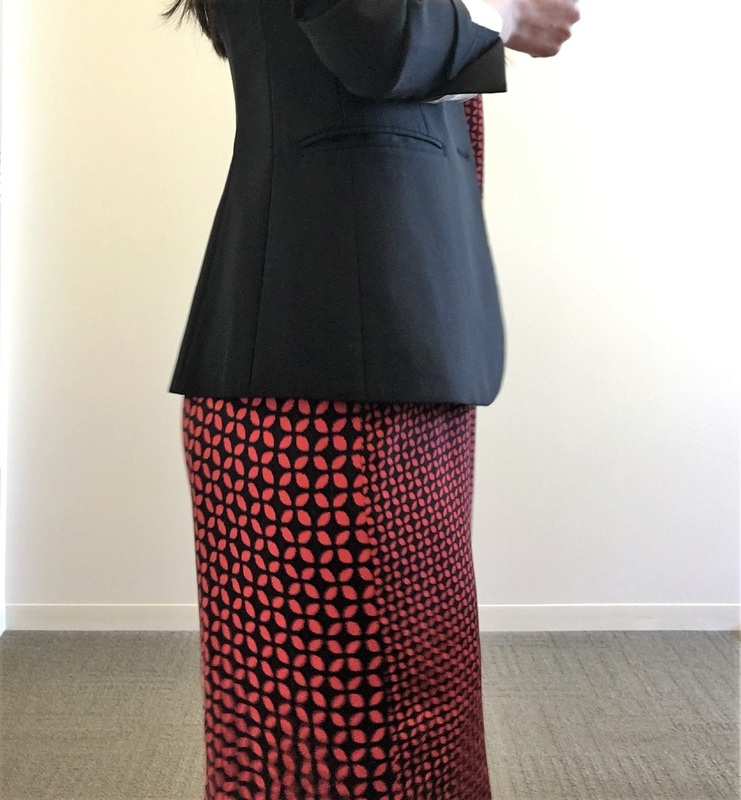 Although no longer accidentally, revealing the dress is still slinky, so I tried to offset that with a blazer to provide coverage and structure to the outfit. 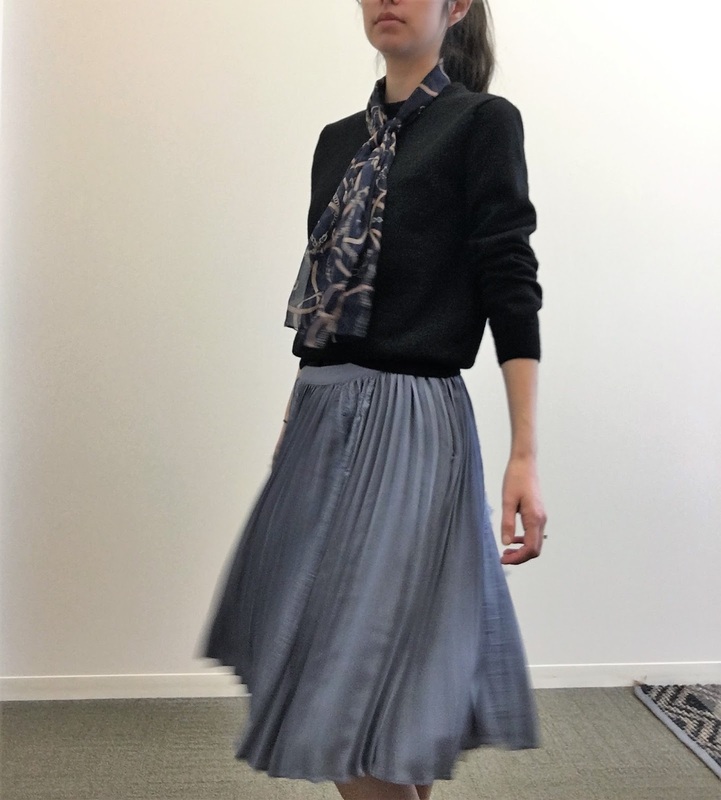 Second, a fun pleated skirt, and my continuing attempts to get a picture of me in motion - why is this so difficult?! 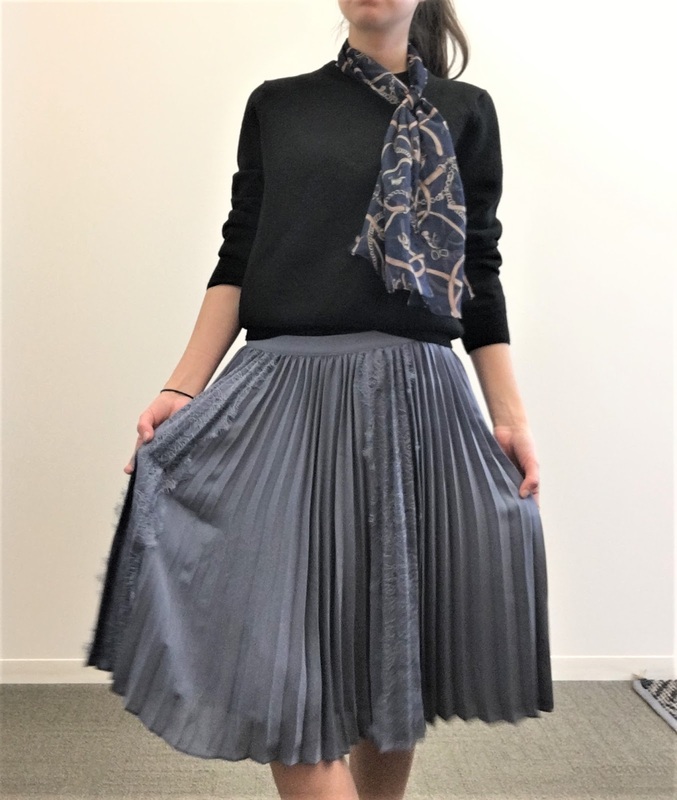 Pleated skirts are something I have been seeing more and more of, but I kept waiting to purchase one. I love the way they move, but I wasn't sure it was something I would still love a year or two from now. I was intrigued by several gold lame (with an accent over the e - I cannot figure out how to add it in blogger - not lame, as in feeble) pleated skirts, but realized it probably wouldn't be very versatile for me. I saw this one on clearance at a Banana Republic store and loved the color, and the strips of lace - it is so charming. 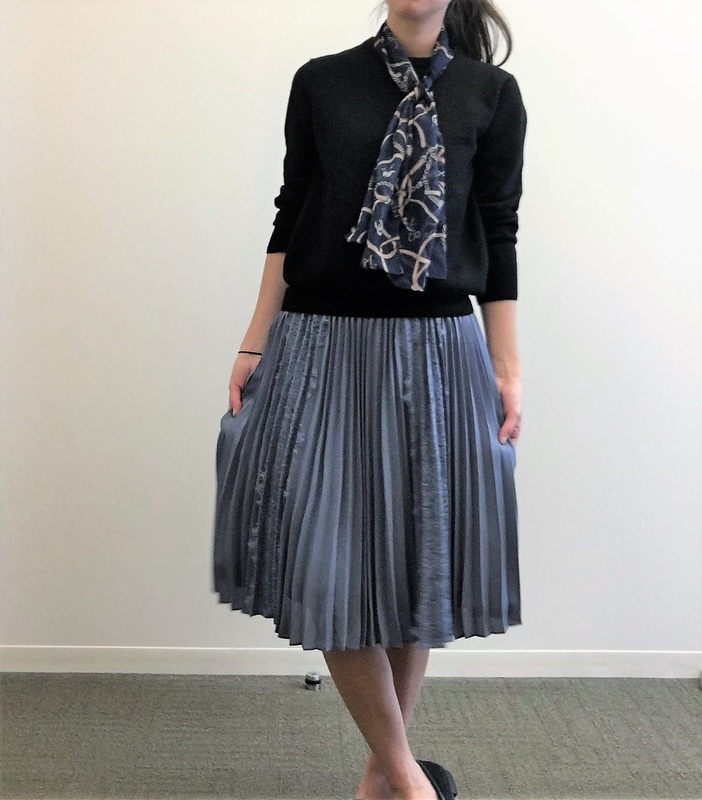 This scarf is actually vintage, that I fished out of a bowl of scarfs and bought for a euro.When I had this outfit on, initially I was going to add a necklace, but, then I remembered the scarf and thought it added a little extra something. Are you in a work-wear rut? What would help you break out of it?